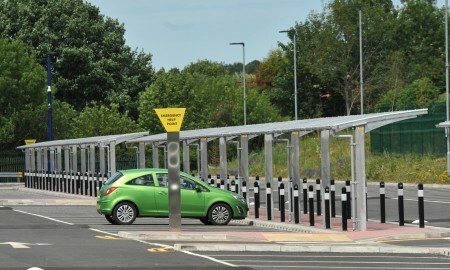 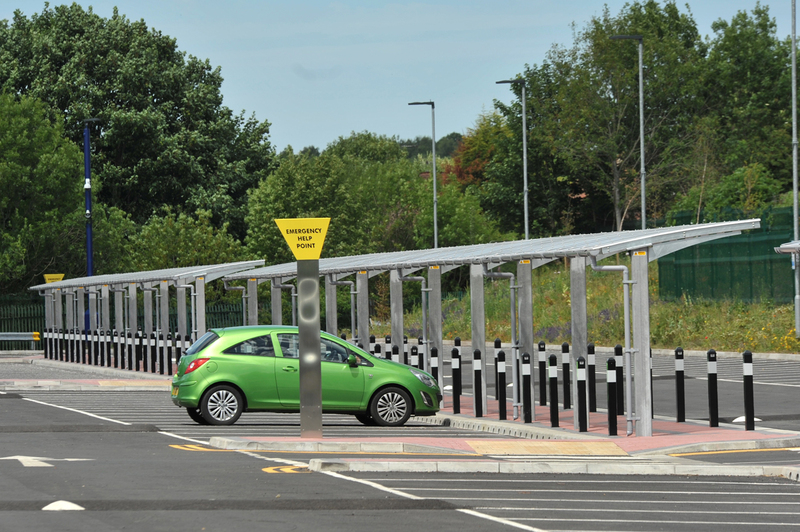 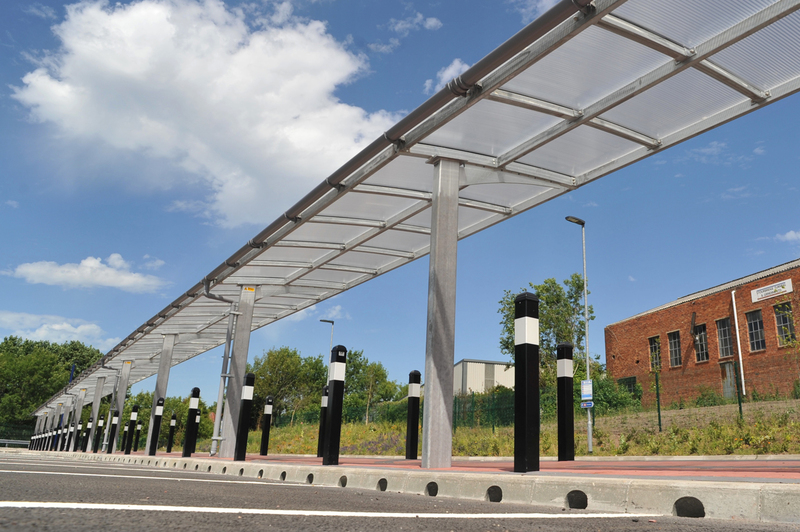 Centro were investing £900,000.00 into Stourbridge Junction to create an extra 223 parking spaces designed to further enhance the Park & Ride Scheme currently in operation at Rufford Road, this has become increasingly overcrowded due to an uptake in usage. 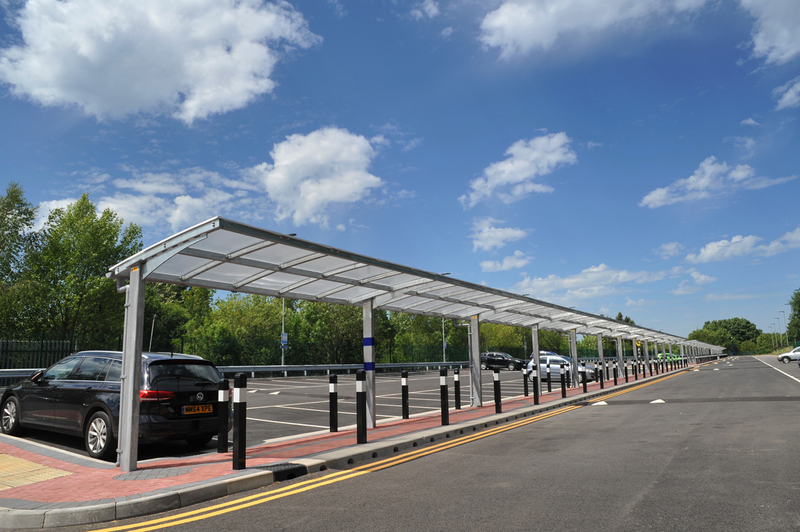 Broxap were invited to tender for a series of passenger canopies based within the park & ride zone to further enhance passengers comfort upon leaving their car and walking to the station. 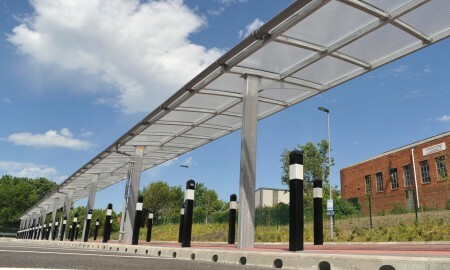 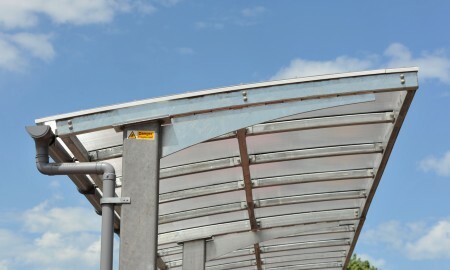 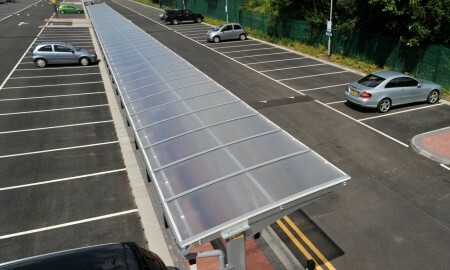 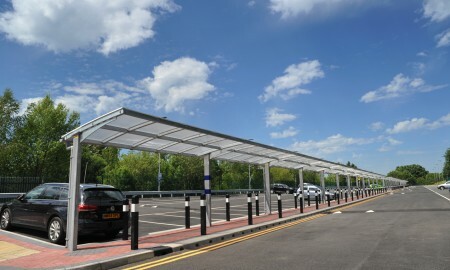 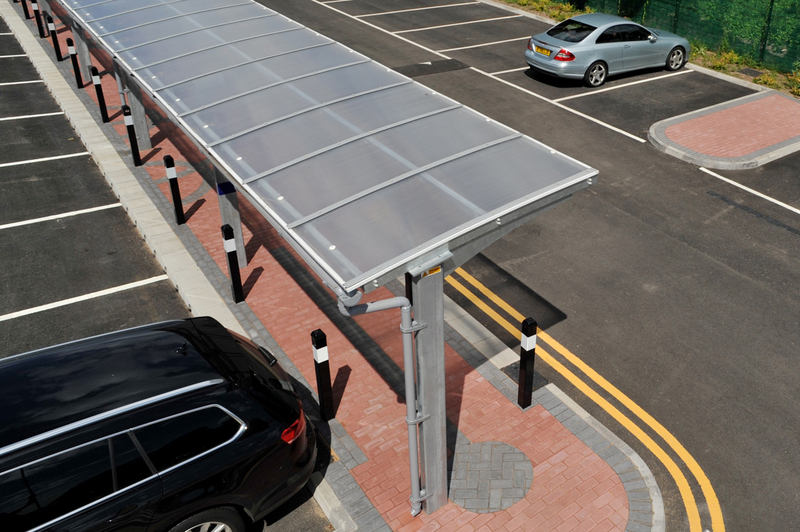 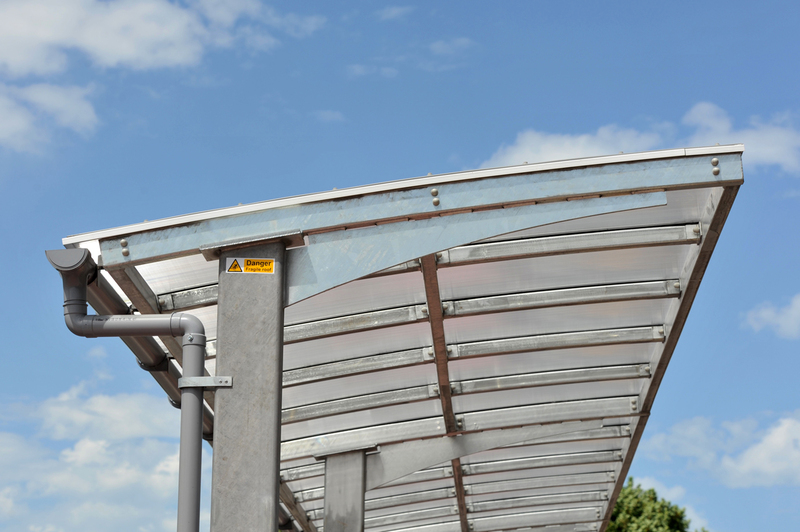 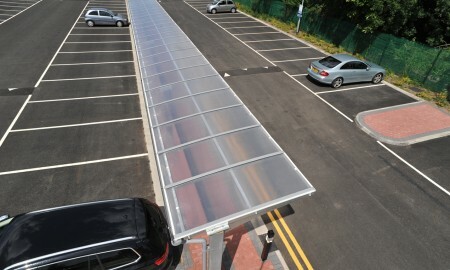 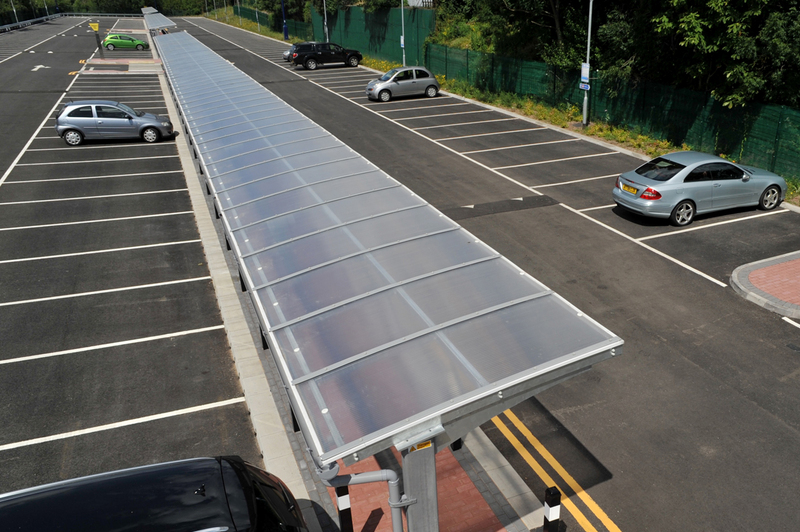 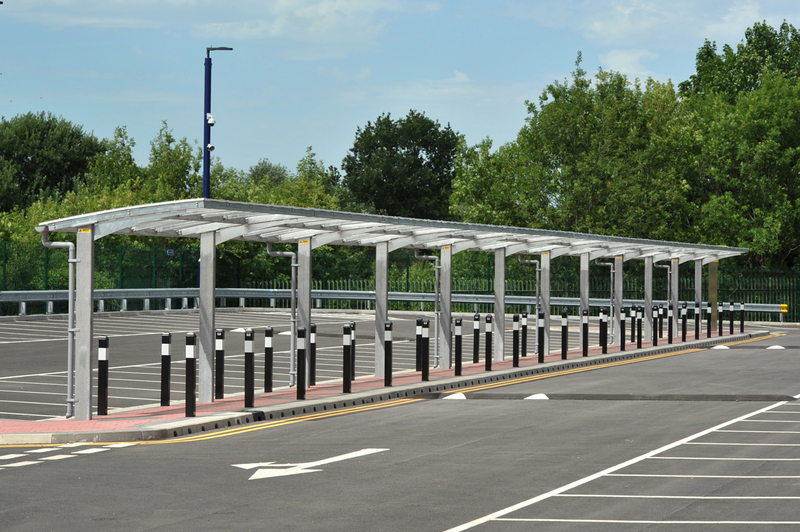 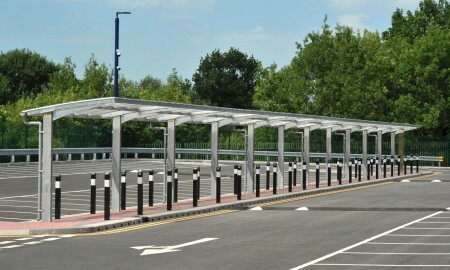 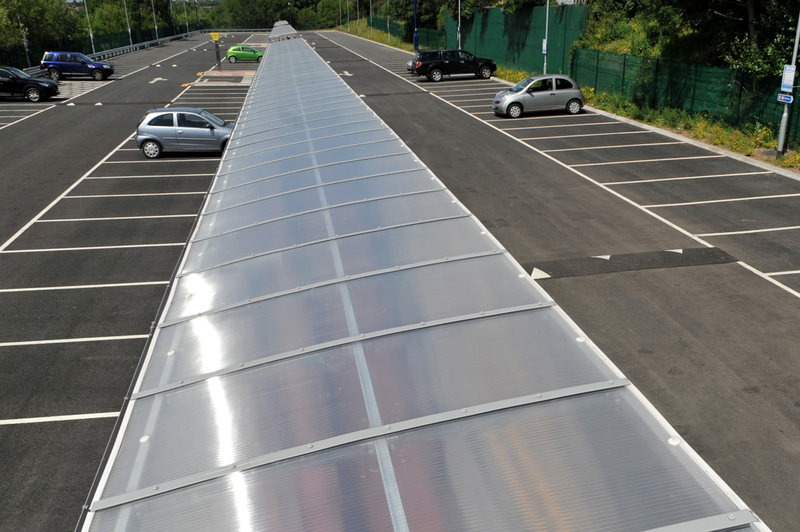 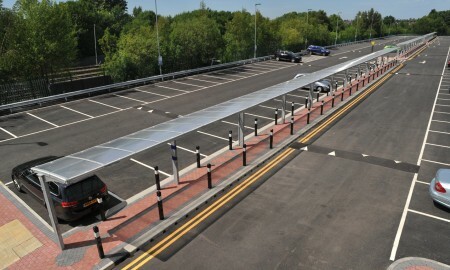 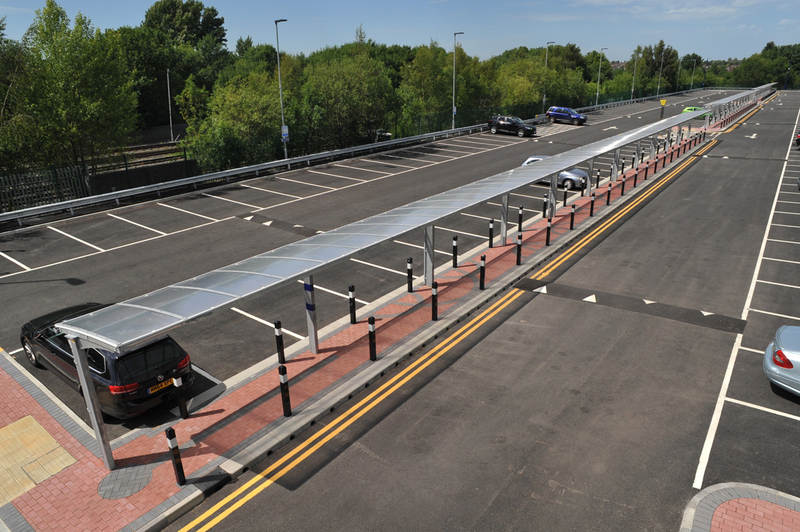 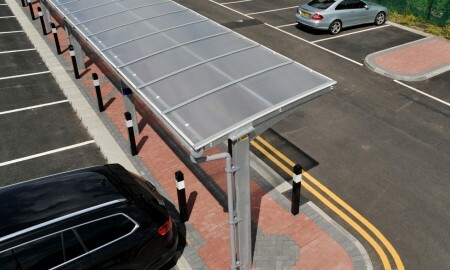 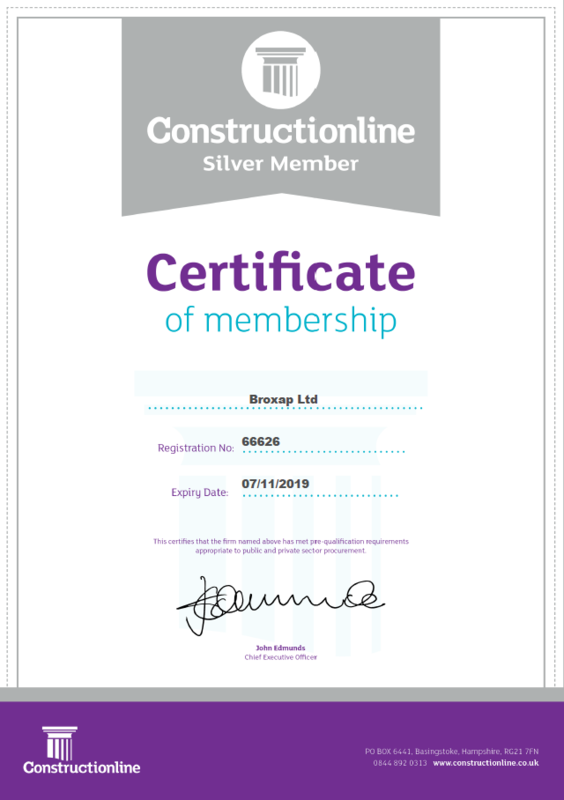 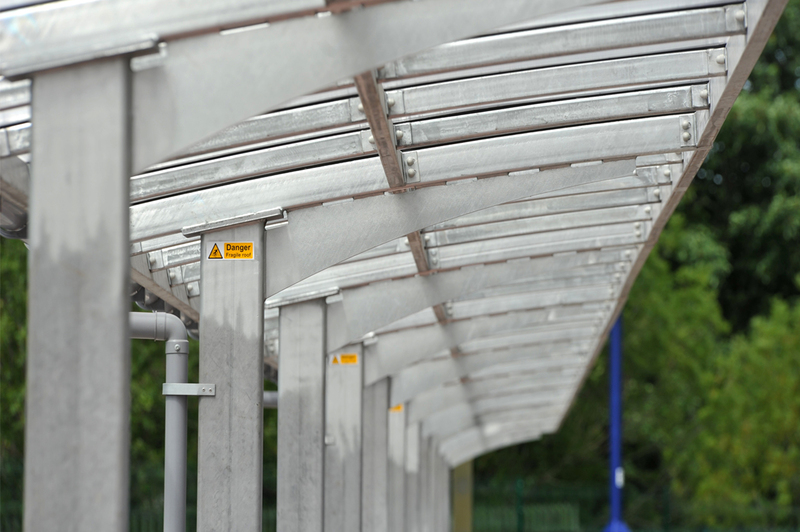 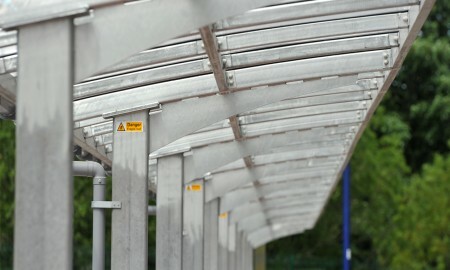 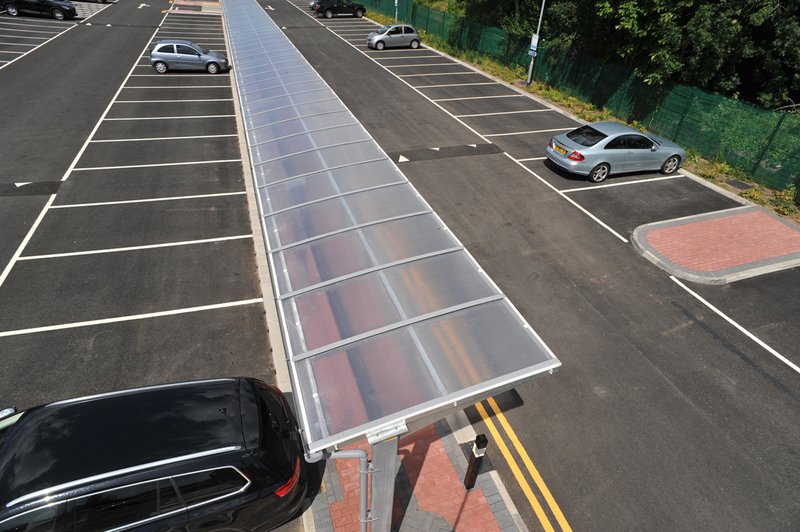 Having been awarded the tender with designs and costs submitted, Broxap began the installation of a series of its bespoke Hartcliffe Canopies designed to provide excellent coverage to passengers leaving their vehicles in the designated parking bays. 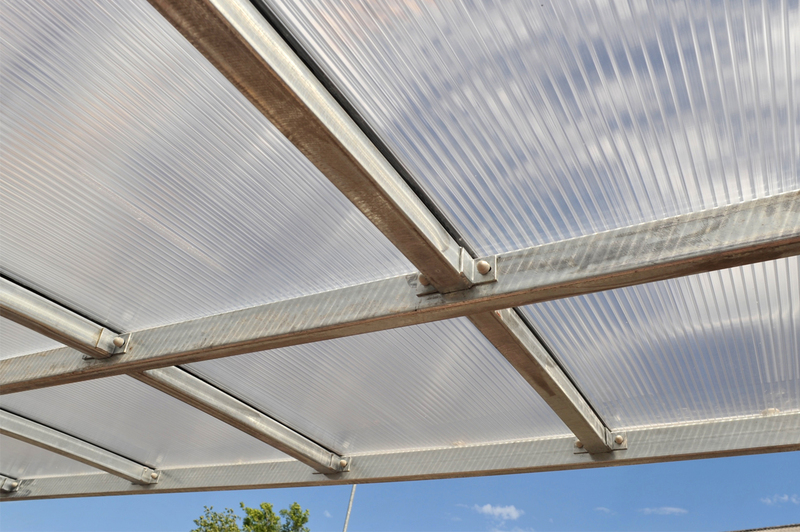 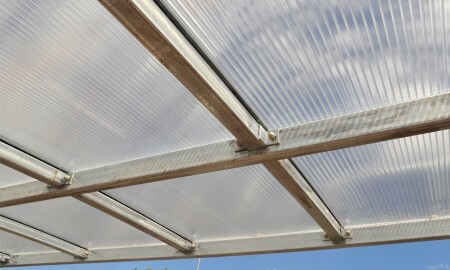 The canopies are constructed of Hot dip galvanized steel which has a powder coated finish and roofing elements are of Multiwall polycarbonate.